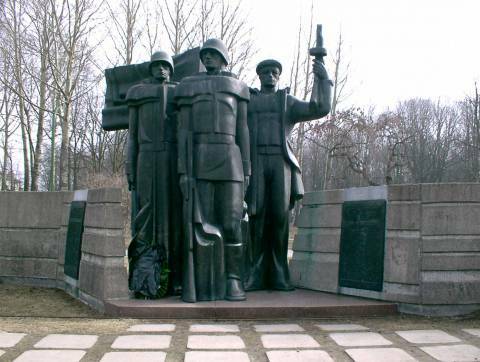 On November 6th, 1980, an artistic soviet soldier composition was placed on Simono Daukanto st., next to the Klaipėda Sculpture park. Sculptor Rimantas Daugintis is the author of the bronze statue. The author states that he was not allowed to deviate from the Soviet military canonical style, which lead to the present result. Next to the Kariai (Lith. 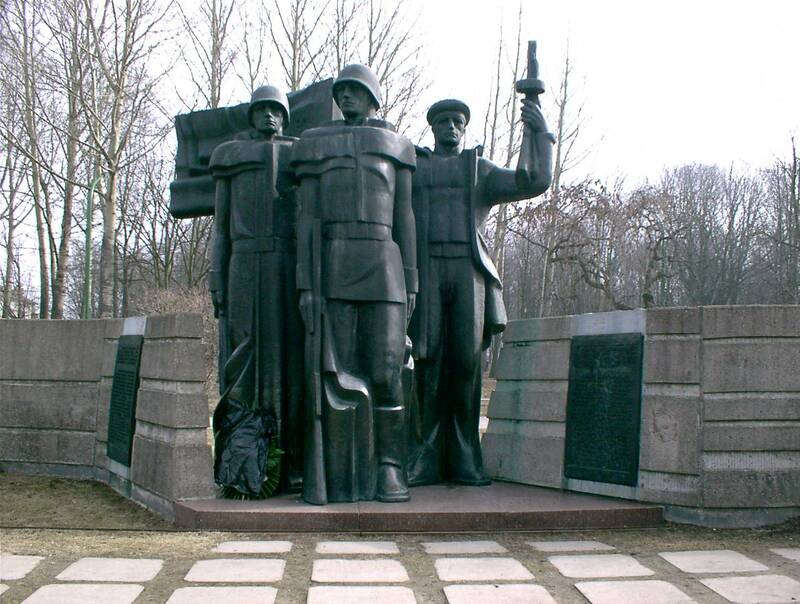 Soldiers), one can find the 1975 memorial Kardas (Lith. Sword), in memory of Soviet Union soldiers, who have fallen in the battles against Fascist Germany and serves to eternalise the the location of those, who died in 1945. 695 names of those, who died during the war, are engraved into the plaques that stand next to this memorial complex. However, this data is not final.